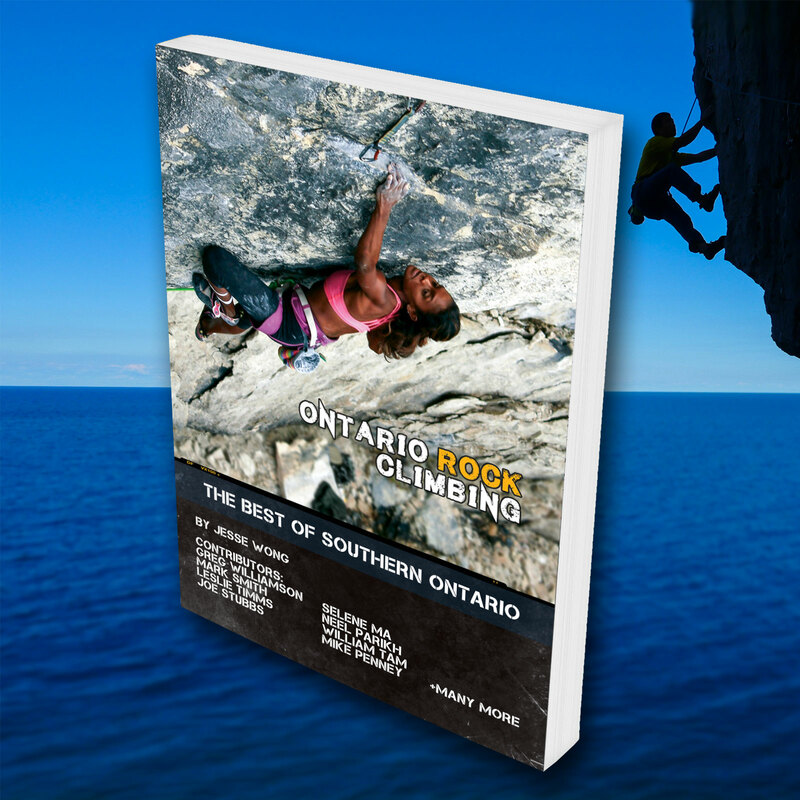 Ontario Rock Climbing: The Best Of Southern Ontario. Get it now. Live in the USA? Click here to buy the book. Update! The Ontario Rock Climbing guidebook now comes with packaged with an unlock code for the book in the Vertical Life app, which includes Rattlesnake Point, Buffalo Crag (coming soon), Kelso (coming soon), and more! 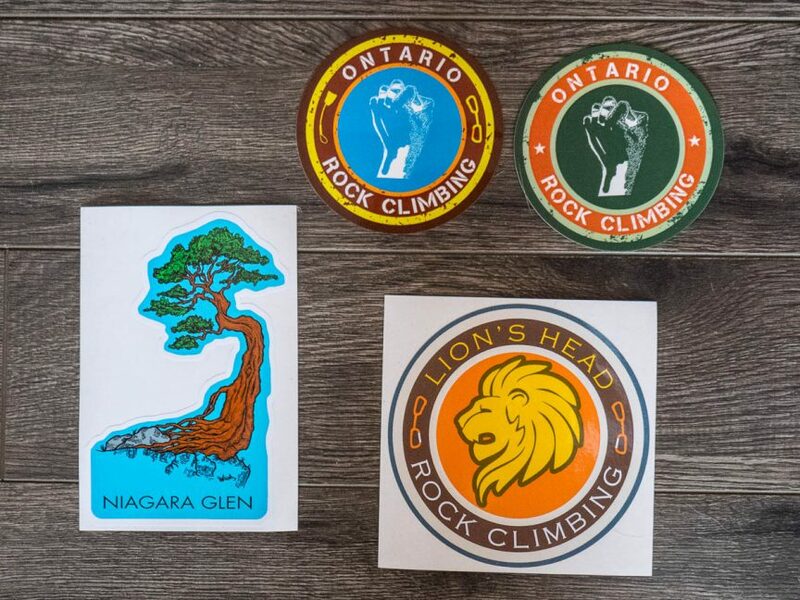 Also comes with the latest update pack and custom stickers – Ontario Rock Climbing, Lion’s Head, and a few from supporting climbing companies! This is it! 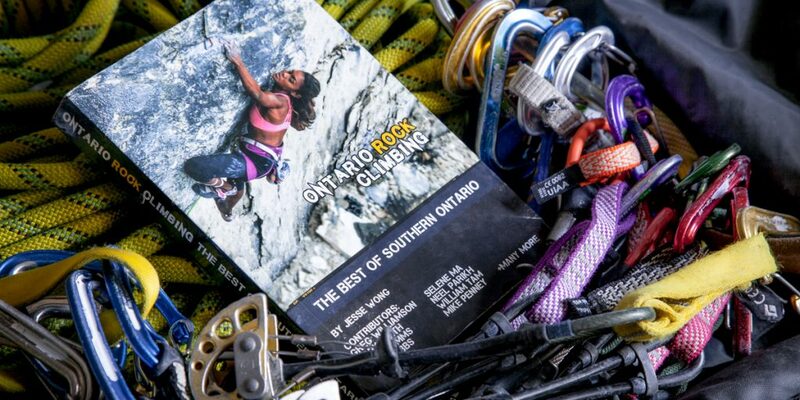 After 20 long years, Ontario has a comprehensive rock climbing guidebook and app. This guidebook was a community effort, put together with the help of several climbers, with particular help from this team of notable climbers and contributors: Selene Ma, William Tam, Neel Parikh, Greg Williamson, Leslie Timms, Joe Stubbs, Mike Penney, Mike Smythe, and Mark Smith. It covers the best of Southern Ontario’s rock climbing crags – The Swamp, Devil’s Glen, Metcalfe, Old Baldy, Mount Nemo, and Lion’s Head. Cape Croker is also covered, and other areas such as Rattlesnake Point are unlocked via the Vertical Life app, with more areas coming. Closed crags that are on private land and have become overgrown and unclimbable are left out. The print guidebook has several features – the most important is that it’s photo intensive, having photos of most routes. Put together and maintained by a team of experts, each area is incredibly up-to-date. On top of that, we’ve given the guidebook a fun look to make the guidebook enjoyable to pore through on and off the walls. Photos in the climbing guidebook and app have been meticulously edited so that you won’t have dark walls against bright skies. For example, the dark Anvil gully photographed in Metcalfe below. In addition, we’ve put special attention to Lion’s Head, the jewel of southern Ontario’s climbing, and we’ve included GPS coordinates and photos of rappel areas, so you no longer spend your entire day trying to find where to go. On top of that, we feature tons of trail photos so you never get lost finding the crag, because that happens to all of us! 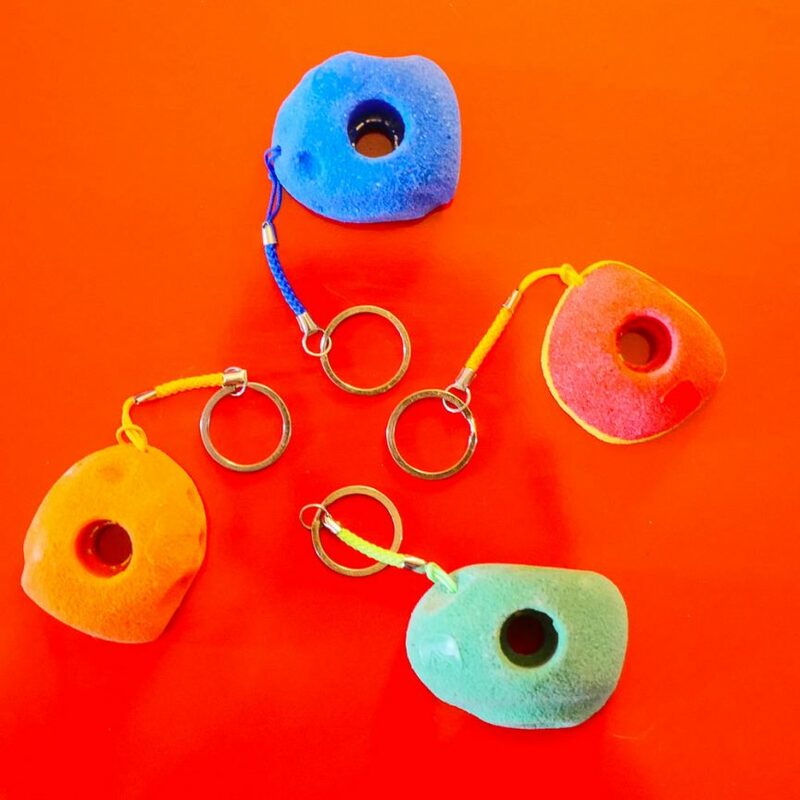 Several photographs of approaches with descriptions – never get lost again! 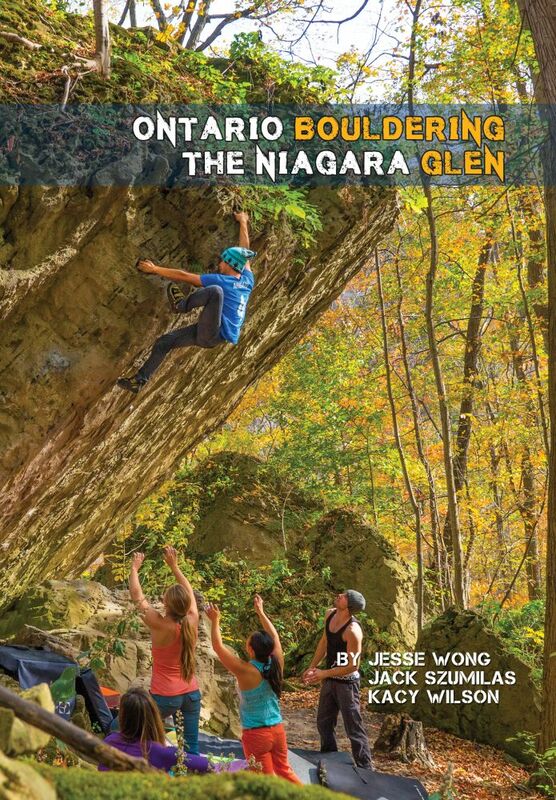 This guidebook was put together by a concerted effort from Ontario’s current generation of climbers, developers, guides, and photographers, including Selene Ma, William Tam, Neel Parikh, Mark Smith, Leslie Timms, Greg Williamson, Mike Penney, Mike Smythe, Peter Hoang, Matthew Sapiecha, Anna Pirko, and many, many more! It’s a fantastic story of the community coming together in a positive manner to put something great out there. For an honest, in-depth, and constructive review of the guidebook, please have a look at Peter Hoang’s review here.